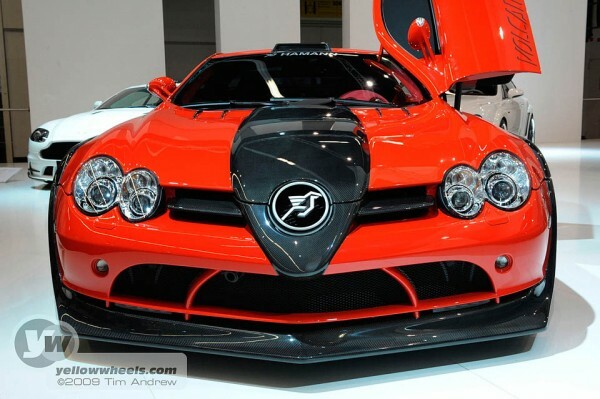 2009 IAA Frankfurt Auto / Motor Show – Mad Motors! 2009 IAA Frankfurt Auto / Motor Show – Audi E-Tron 2009 IAA Frankfurt Auto / Motor Show – in the pink! A motor Show would be nothing without a few mad motors balking at corporate styling shyness. 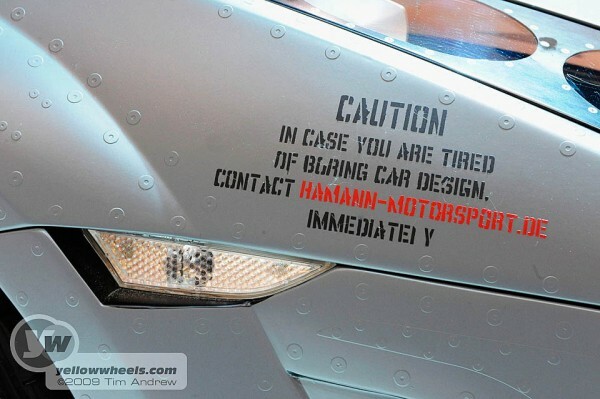 The Hamann stand seemed to epitomise aftermarket tuning with a sense of humour. Where else will you see a BMW X6 with zebra stripes, a Lambo painted to resemble an F16 fighter jet, a McMerc SLR decked out with more carbon appendages than a formula 1 racer? We need bonkers motors to stop us sinking into the straight-jacket of corporate-safe styling. OK, so your average punter’s not going to sink their hard-earned cash into one of these vegas-on-wheels mascots, but a petro-cash-rich-car-nut might just get the humour and steer some dosh Hamann’s way. click through to the next page to see more photos of Hamann’s radical rides!